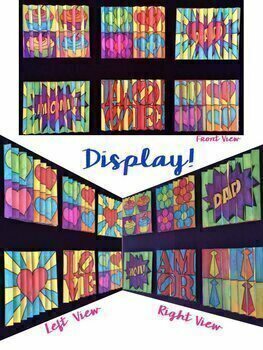 Agamograph packet that includes designs for Valentine's Day, Mother's Day, and Father's Day. 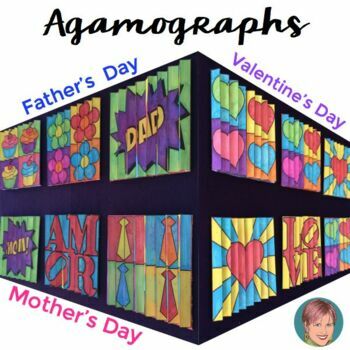 My agamographs are a fun and unique way to integrate art into your classroom and that will make a super gift for Valentine's Day, Mother's Day, Father's Day...or for any time you want to give a sweet gift or make a lasting classroom impression! What's an Agamograph? A picture that morphs into another when you look at it from a different angle. It's hard to say but easy to do! This is resource is included in my Agamograph Bundle. For occasions like Mother's Day, Father's Day, and Valentine's Day this art project is a gift students can make and give to their parents that won't soon be forgotten. There is a lot of "wow factor" in this activity--the students love the surprise. And best of all, they did it themselves!! I promise that it is easier than it seems...and once you've created one the next one is a piece of cake! The images have already been “spliced” together and each space has been assigned a color. 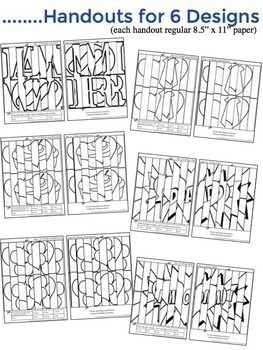 Students color them and then fold them. Once completed, students can walk from one side of the image to the other and watch it change! 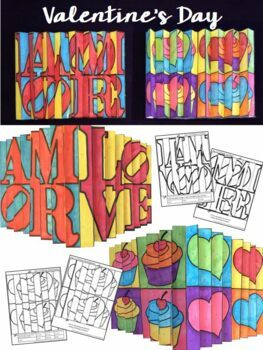 This is a project often used by art teachers; however, I’ve taken out most of the “prep and mess” so that classroom teachers can find this useful and fun as well as art teachers. This project makes a big impression and will be a treasured gift for kids to give. It gives kids such a great opportunity to try and explain how they created them. Download the preview to see more details. red, blue, yellow, orange, green, purple and pink. -What is an agamograph handout (included) -show at the end! Learn how to make your own agamograph. You might be interested in my Art Activities for the ENTIRE Year BUNDLE In this bundle I have compiled some of my most popular resources by month so you can simply open the folder each month and choose from one of the many activities that is included. Each time this bundle is updated to reflect my most popular items you can re-download the file, giving you access to so many of my resources at a huge discount.